Report Abstract: What drives governments to crack down on and kill their own civilians? And how—and to what extent—has nonviolent resistance historically mitigated the likelihood of mass killings? This special report explores the factors associated with mass killings: when governments intentionally kill 1,000 or more civilian noncombatants. We find that these events are surprisingly common, occurring in just under half of all maximalist popular uprisings against states, yet they are strongly associated with certain types of resistance. Nonviolent uprisings that do not receive foreign material aid and that manage to gain military defections tend to be the safest. These findings shed light on how both dissidents and their foreign allies can work together to reduce the likelihood of violent confrontations. 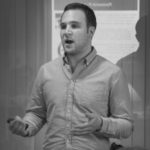 Dr. Evan Perkoski is an assistant professor in the Department of Political Science at the University of Connecticut. His research focuses on the dynamics of rebel, insurgent, and terrorist groups; strategies of violent and nonviolent resistance; and the behavior of state and nonstate actors in cyberspace. His book manuscript explores the breakdown of armed organizations, focusing particularly on the emergence of splinter groups and how they behave relative to their predecessors. He received his PhD from the University of Pennsylvania and has held fellowships at the Belfer Center for Science and International Affairs at the Harvard Kennedy School of Government as well as the Josef Korbel School of International Studies at the University of Denver. 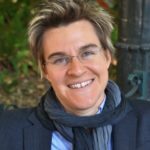 Dr. Erica Chenoweth is a Professor at the Josef Korbel School of International Studies at the University of Denver. Foreign Policy magazine ranked her among the Top 100 Global Thinkers of 2013 for her work to advance the empirical study of civil resistance. Her book, Why Civil Resistance Works (Columbia University Press, 2011) with Maria J. Stephan, also won the 2013 Grawemeyer Award for Ideas Improving World Order. Chenoweth has authored or edited four books and dozens of articles on political violence and its alternatives. She earned a PhD and an MA from the University of Colorado and a BA from the University of Dayton. 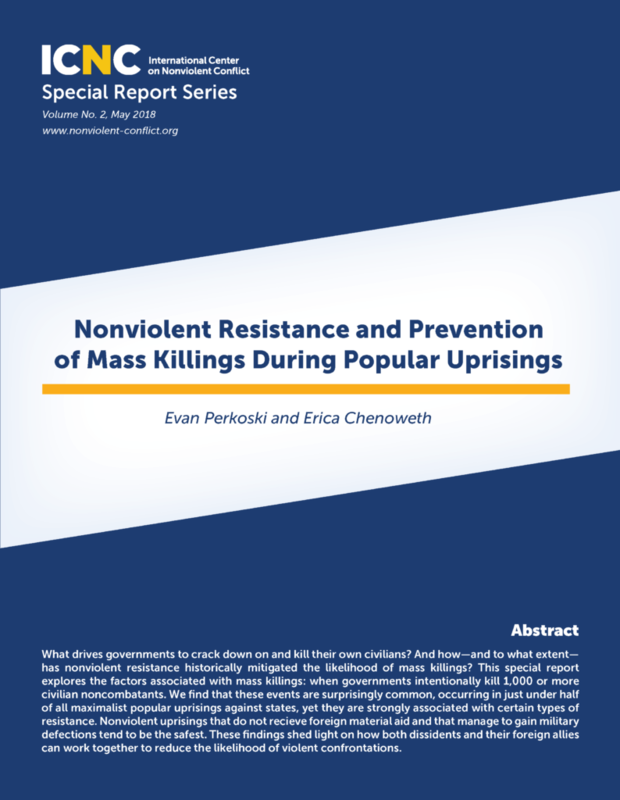 Presenter: Evan Perkoski, co-author of ICNC’s new Special Report Nonviolent Resistance and Prevention of Mass Killings During Popular Uprisings (PDF).